You can’t have Hawaiian food without at least a scoop of rice and a scoop of rich and creamy Mac Salad. Below is how I’ve been making Mac Salad. Cook Pasta – Add water and salt to a medium pot and bring to a boil. Add elbow macaroni and cook for about 5 minutes over package instructions, or about 15 minutes. Drain pasta and set aside. 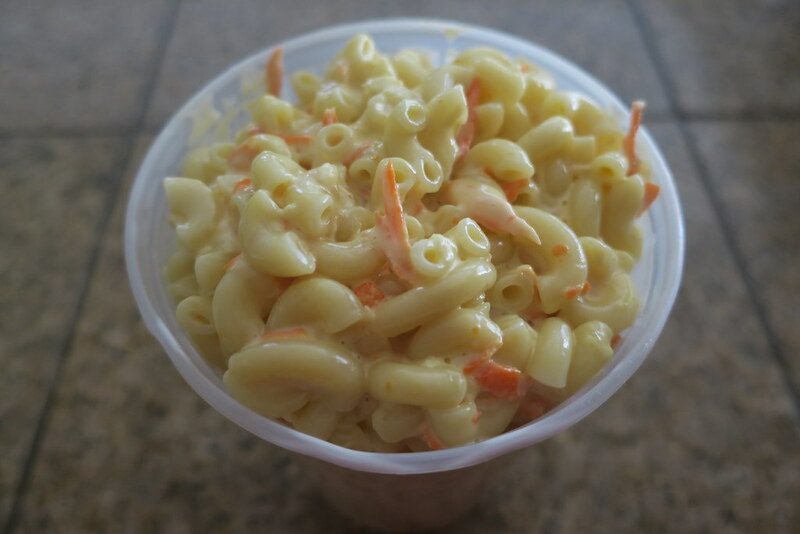 Make Mac Salad – In a large bowl, add Best Food Mayonnaise, grated carrots, grated onions, rice vinegar, sugar, salt, and pepper and mix until combined. Add cooked elbow macaroni and mix well. Cover and refrigerate for at least 2 hours. Use only Best Food Mayonnaise for authentic Hawaiian Mac Salad (at least that’s what I’ve been advised). You want to overcook the macaroni a little bit so it plumps up. This makes the macaroni super tender and perfect for this recipe. Add elbow macaroni while it’s still hot to the mayo mixture while it’s still hot to soak up the mayo mixture better.